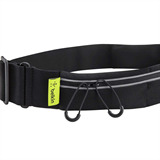 Free your mind to focus on fitness with the ultimate sports belt. With your essentials always with you, no distraction will stop you from achieving your goal. Take your phone to power your workout playlist, keep keys, cash and cards safe and secure, and even grab an energy bar to refuel en route. 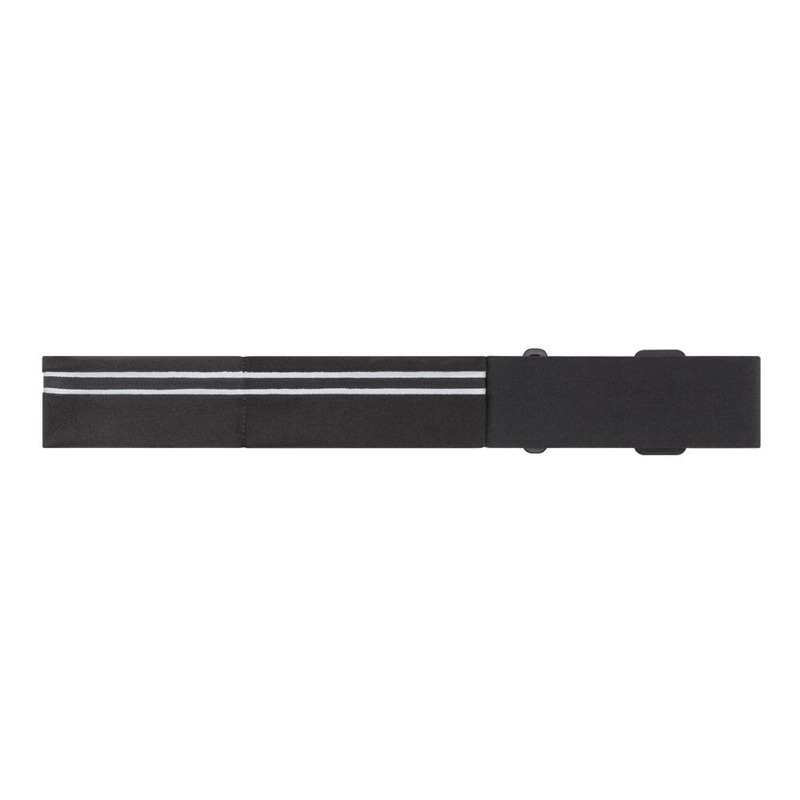 With three expandable pockets, the belt only stretches enough to house your essentials, so its slim, compact shape will sit comfortably on your hips without limiting your movement. Universally compatible: Fitness Belt fits smartphones up to 5.5" (like iPhone 7). It's also compatible with most phone cases, so no need to remove case pre-work out. 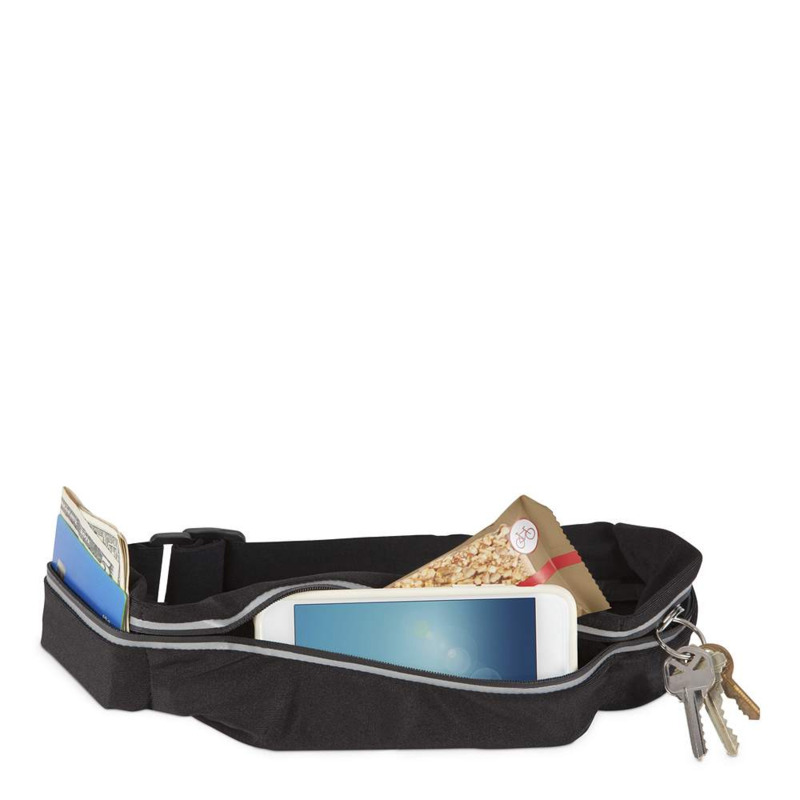 The expandable pockets only stretch as much as needed, which means you have room to fit all your essentials, without adding bulk. 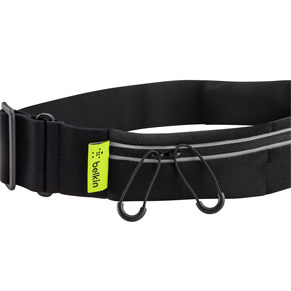 Even when you're at your most active, the belt is designed to stay put. Secure zipper closure on the expandable pockets keeps your items safe, while the adjustable strap sits securely on your waist, without moving around. Hand-washable, neoprene fabric protects your belongings from sweat with a water-resistant inner, while reflective accents keep you visible at night. 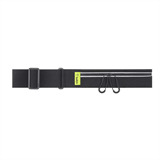 Adjustable fit: 29" up to 44"